Oh good gravy! 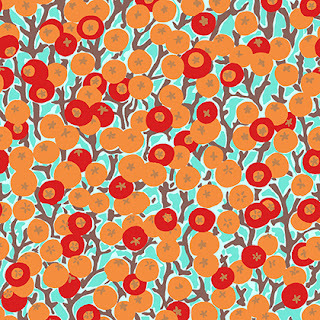 Would you look at the upcoming collection at FreeSpirit Fabric? 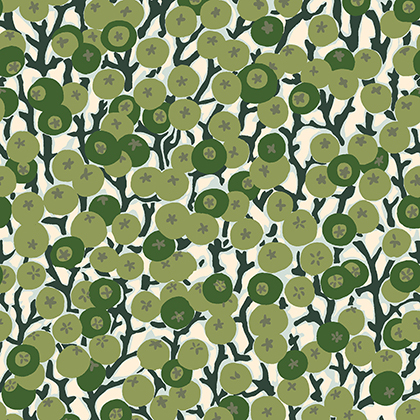 It's called English Garden and I am itching to get my hands on it. I am slowly trying to become a person who has a green thumb (succulents and a house plant or two...baby steps, y'all). I am also learning to quilt via foundation paper piecing and think the tall tales book blocks that are all over Instagram right now would really show this collection off! It is coming out in September and I think that because it is so hard to choose from this line that one should really get some of each print, don't you think?! How perfect is the color combination here?! What might YOU make with this collection? Stay tuned to see what I have up my sleeve! Remember when I showed you my Preppy the whale quilt that I started? 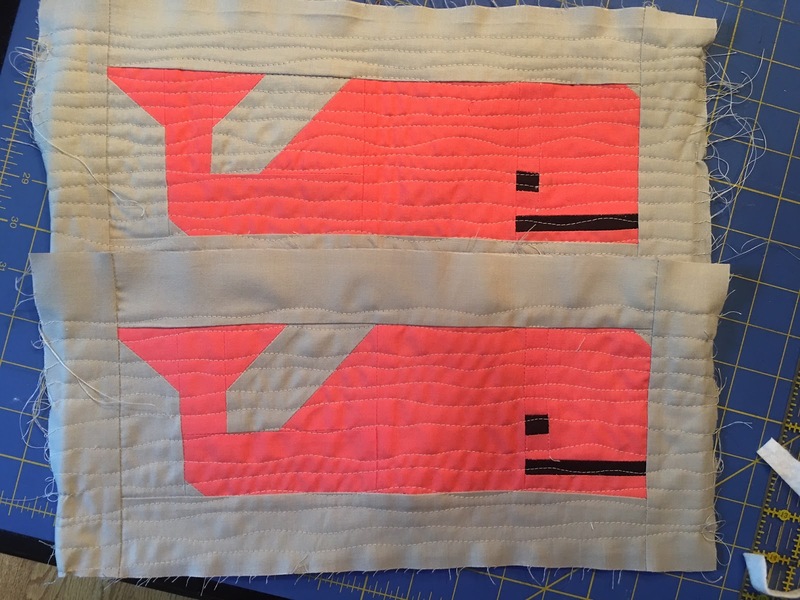 I am still loving this pattern and am making the 70 whale blocks assembly line style, but I will admit that it is taking me a bit longer than I had planned (I blame a busy summer and NOT the quilt itself). I couldn't help myself though and wanted to use those adorable whales RIGHT AWAY! 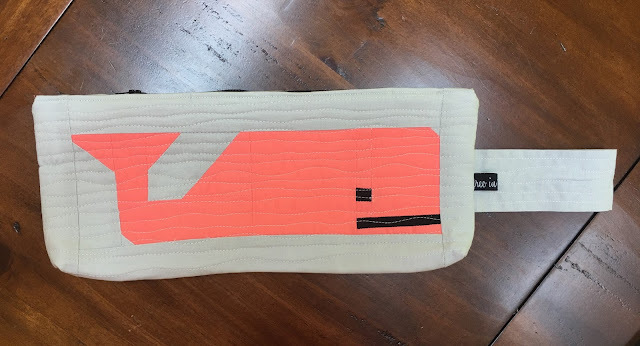 I decided to make a zippered wristlet/clutch from two of the whale blocks I had made and will fill in more towards the quilt later. This is one of my favorite threads. It is durable but soft and I never have trouble with it breaking. 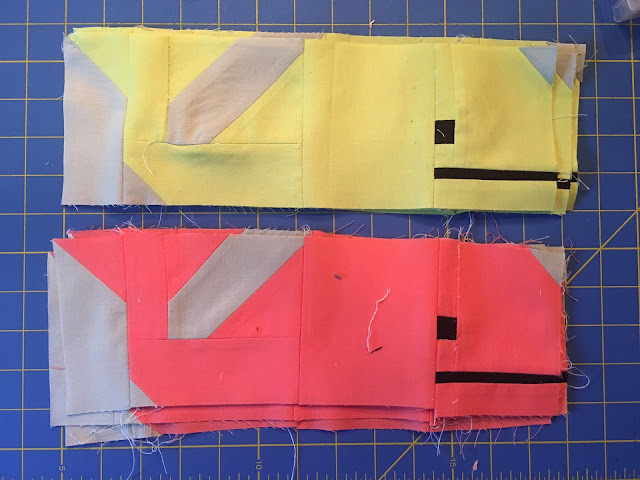 2 pieces of your background fabric that are 2" x 13"
2 pieces of your background fabric that are 2 " x 7"
2 pieces of cotton batting 5.5" x 13"
2 pieces of background fabric (or what you'd like to use for your lining) 14" x 6"
Look at these cute whales! My favorite of my own completed whales are the coral and lime. I am using two coral Preppy Whales for this bag. I am using silver fabric as my background and lining. Square your blocks up and trim any loose thread. Assemble your materials. Because I was so excited to make this up, I used what I had on hand, which was a zipper that was a bit small and poor lighting because it was late evening. Let's roll with it, it's all good! 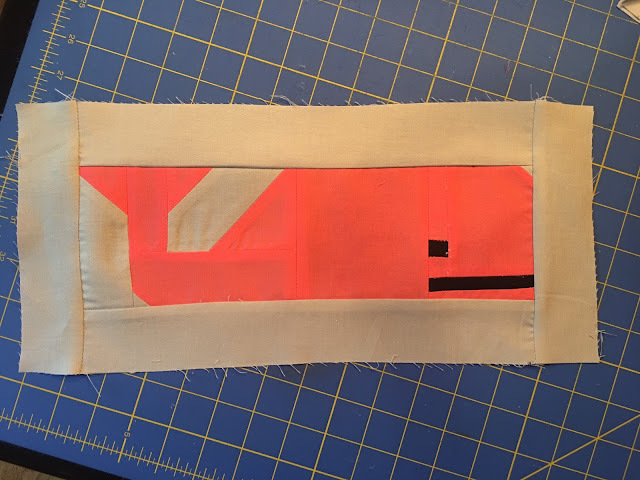 Sew your 2" x 13" strips to the top and bottom of your whale and then sew your 2" x 7" pieces to the sides of your whale. You should have a block that looks similar to this. Because of all of the piecing to these whales, mine fluctuated in size a smidge, so trim any long sides and make it work. Do this to both whales. On the back side of your whale blocks, place a piece of batting. You can spray it with basting spray if you'd like but I just took it straight to the machine and it didn't move. Notice that my batting is a little smaller than my block. I did this on purpose so that when constructing the bag, it wouldn't become part of the seams and be too bulky. I used my beloved walking foot for this part. Starting in the middle of the block, quilt a wavy line from one end of the whale to the other. Repeat until your block is quilted with lots of wavy lines and your heart skips a beat because of how adorable your whale looks. Then repeat the whole thing on the other whale. Iron down the top of the block towards the wrong side 1/4 inch. 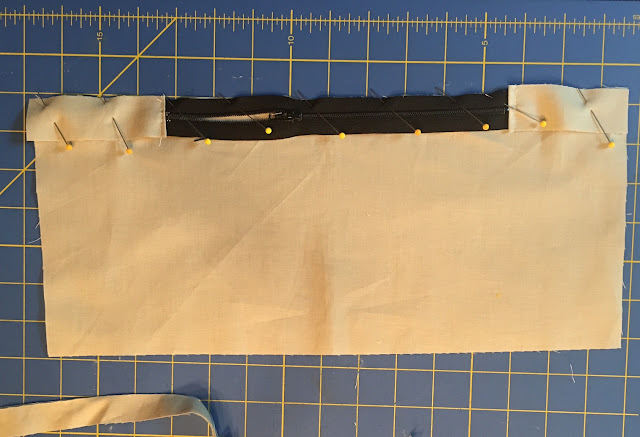 If your zipper is a bit smaller than your bag, fret not...just sew a little fabric to both sides of the zipper until it is as long as your lining piece. Your bag won't open as wide, but on the bright side, it's easier to sew up because you won't worry about breaking your needle on the hard ends of the zipper. If you are intimidated by zippers, please do not be. Don't even unpack that zipper foot! Pin your zipper to the top of one piece of lining. Notice the direction that my pins are facing. Then take it to your machine. Move your needle to the far side that is close to your zipper. In this case, I moved my needle all the way to the right to be close to the zipper that is on the right side of the sewing machine foot. 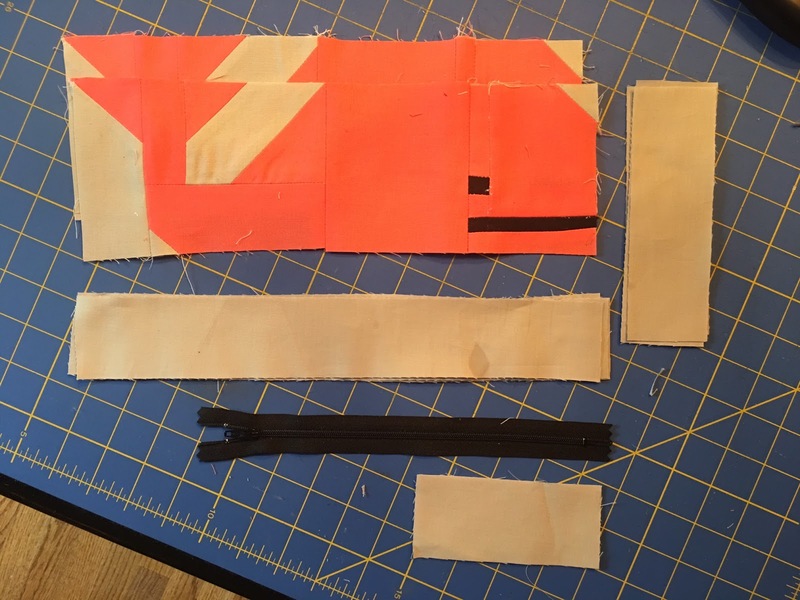 The do the exact same thing to the other side of the zipper and stitch. 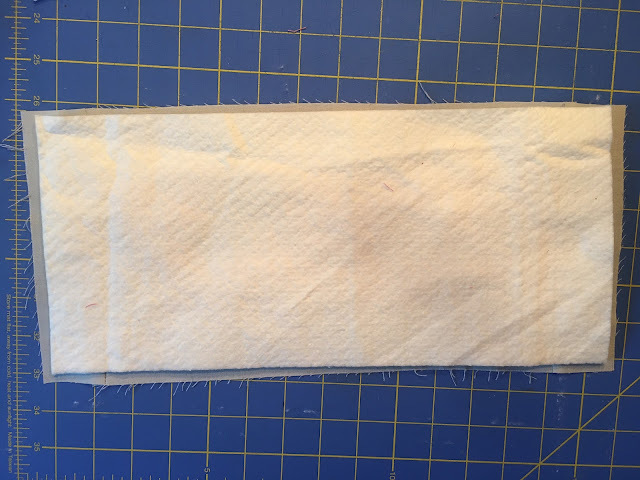 Now, if you want to make a strap to turn your pouch into a wristlet, take your piece that is 3" x 9"
Fold in half lengthwise, sew, turn inside out. Then wavy~line stitch it so it looks like your super cute bag. Fold your step in half and pin both ends. When we sew the bag up it will be sewn tightly in place. I also snuck a tag on the front side of the strap for my blog's name. Arrange your bag so that the fronts are facing each other on their right sides and so are your linings. Stitch all around the large rectangle, leaving a 3" opening to turn your bag right side out. Gusset your corners if you so fancy. Turn it right side out and iron it down nicely. Hello, Preppy the Whale Bag! All of the supplies I used came from Connecting Threads, a sponsor of this little ol' blog. 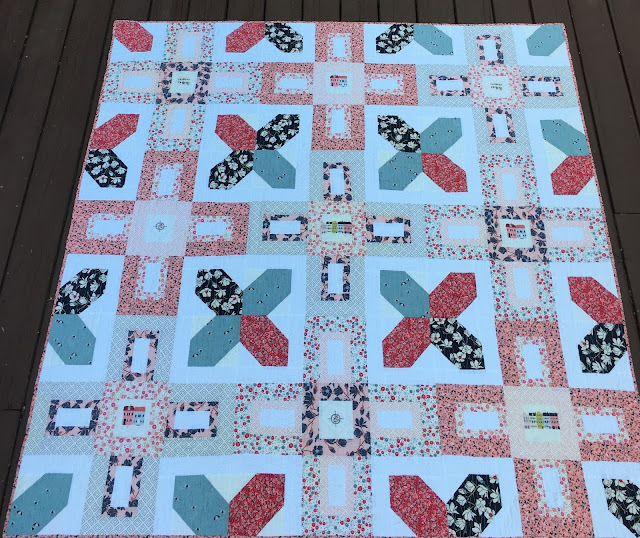 They were sweet enough to send me the quilting supplies to make up this quilt, but I had to share with you the other things you could make with this pattern! I have another great quilt idea to try in addition to the classic on shown on the cover of the pattern. 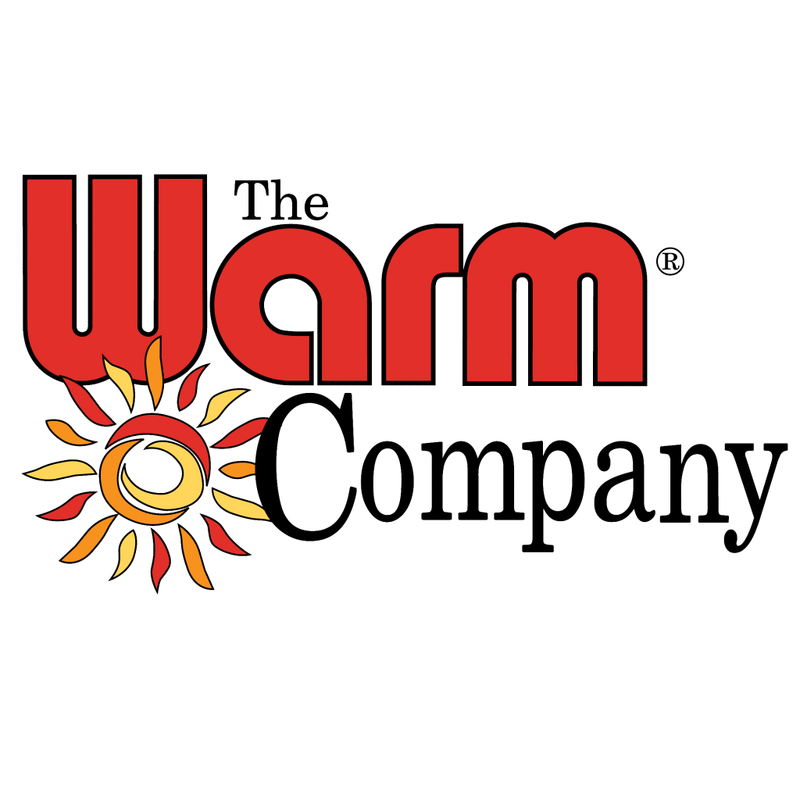 Visit Connecting Threads to get your goodies and get started! Matthew and I went to Charleston a couple of times while we were dating and love that Southern city! 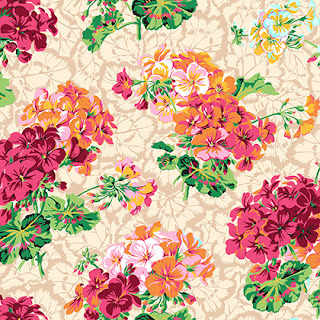 When I was offered to choose a fabric line from Art Gallery Fabrics to quilt with, I jumped at the Charleston line by Amy Sinibaldi. Art Gallery Fabrics are the softest cottons out there. They have a feel and drape almost like a rayon. 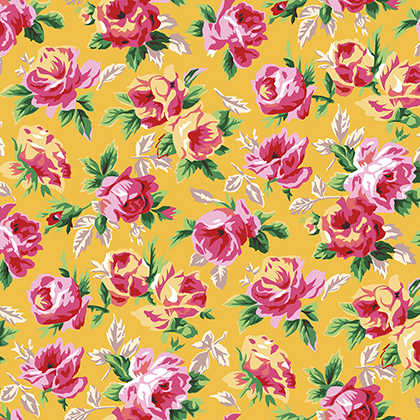 Fat Quarter shop got these fabrics to me super~quick and I got them cut out right away! It is a really easy pattern because it relies on straight lines and half-square triangles, which are the building blocks of most great quilts. I couldn't believe how easy it came together, in fact, I think I pieced it quicker than I cut it out! One thing I decided to try while working on this project was to "fussy cut" the centers of my squares. This is a fancy pants way of saying that you focus on something you want to show and make that the center of one of your shapes. In my case, these 9 squares featured the rainbow homes of Charleston and the compass rose from that fabric. I LOVE them! Because everything was so linear, I decided to give my quilting a little more leeway and wavy-line quilted the whole thing. I had never tried this technique before and I am hooked. 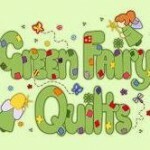 It's hard to imagine quilting any other way now! Maybe I found my signature! Truth be told, it was really an easy method. Having no measurements or lines to follow took the stress out of it. NO perfection needed here, folks! As usual, I did my binding by hand. Some people have tremendous skill at machine binding by stitch-in-the-ditch, but I am not one of those people. I also love the hidden little stitches from hand binding. 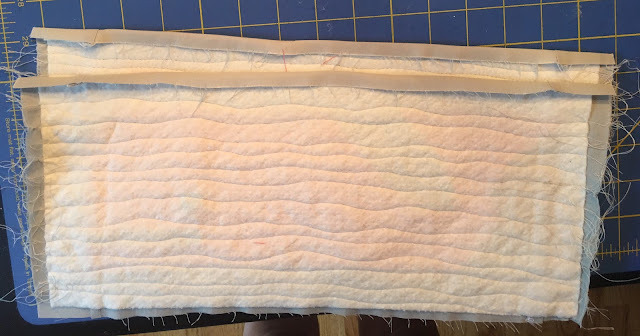 You know what the hardest part of quilting is? Getting a great picture of your finished quilt! 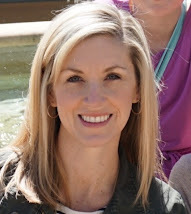 I am serious, y'all! Look at my outtakes! Glad my toenails were painted. Shessh! Quick pause to love on those cute houses. Quick pause to show you the backside of this pretty quilt. I hope you try this pattern! I hope you try Art Gallery Fabrics. 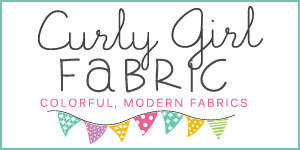 Fat Quarter shop has both this free pattern and lots of pretty fabrics! Don't have a sewing machine? 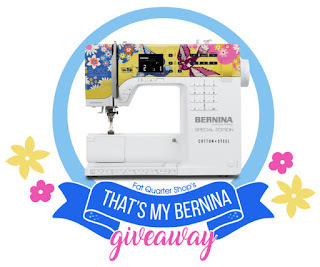 You KNOW I LOVE my Bernina and right now, Fat Quarter Shop is giving one away. A pretty one! One decorated by Cotton + Steel. Hurry! You have 7 chances to win. Good Luck! 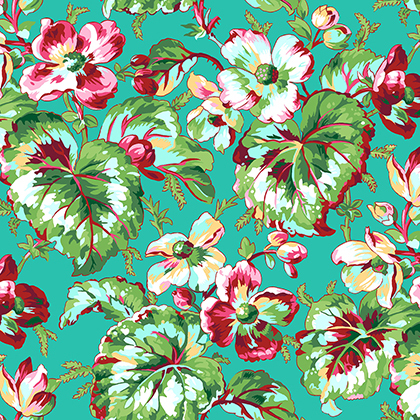 Floral Waterfall: Shannon Newlin fabric line and a few new bags! 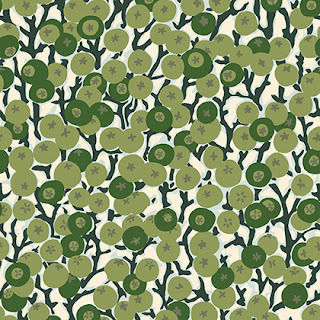 I got to preview a line of new fabric from FreeSpirit. It is by designer Shannon Newlin and it is amazing. AMAZING, y'all! It is a wonderful mix of fall colors like navy and mustard with pastels mixed in such as pink and turquoise. I haven't been this gaga over a new line in a LONG time! The mix of fabrics with a lot of colors with fabrics with just two is a nice touch and the size of the pattern being different on each fabric makes joining them in fun ways easy. 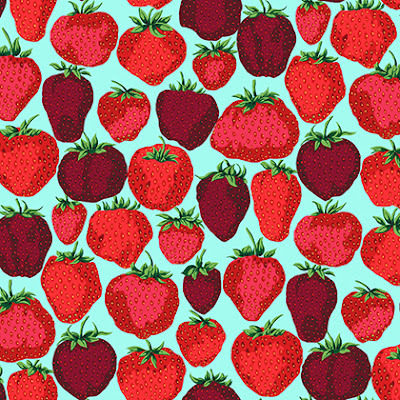 When I saw this fabric I was tempted to make a quilt but haven't made bags in a while and these screamed "pouches"! I used my favorite print, the navy with "sprinkles" to use for the body of this clutch. It is the Amy Butler Charm clutch and it is perfect for showing off these prints! I also made a pencil pouch and smaller make-up pouch to match. I do have some pieces left and think I have to make something quilted with this line now. It will be the perfect fabric to have for fall. Shannon Newlin is am amazing artist. 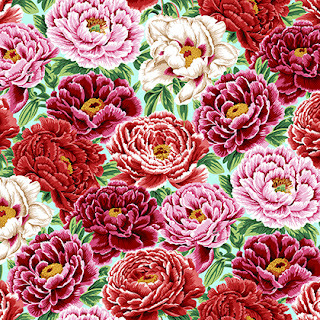 Some of these fabrics would look beautiful in a frame as they are lovely just as they are. 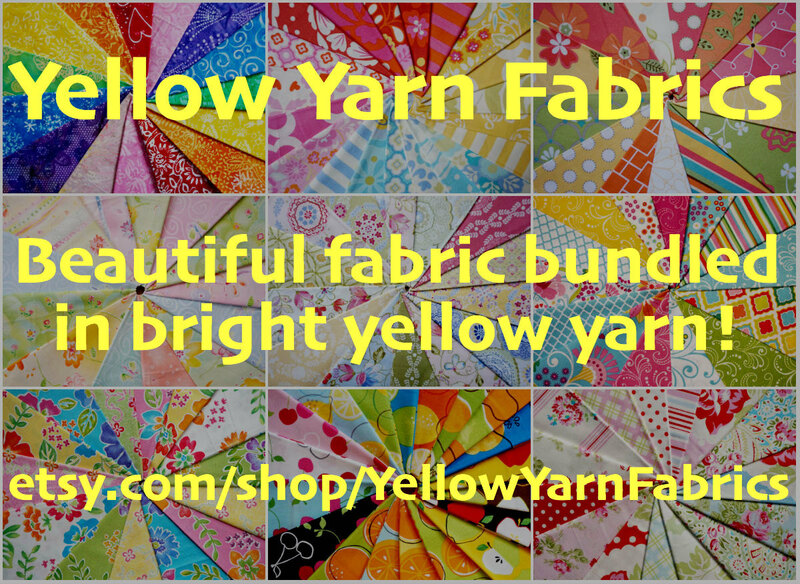 Take a peek at her work and grab some fabric, too! We have the tradition of heading to the beach every July to celebrate the 4th of July as well as our anniversary, which is July 6. This year we are celebrating 15 years of marriage and 20 years together! What a wonderful life! We did lots of boating, eating, card playing, fireworks, and even got a date night out.